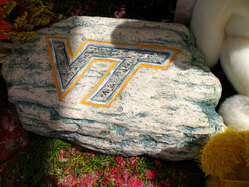 Thirty-three Hokie Stones lie on the drill field. 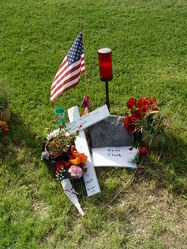 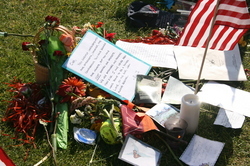 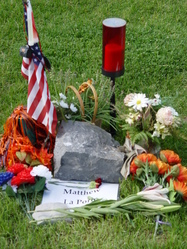 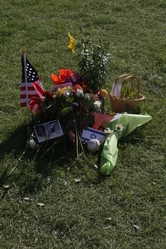 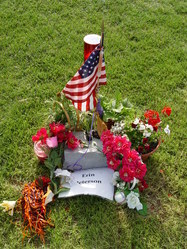 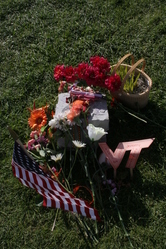 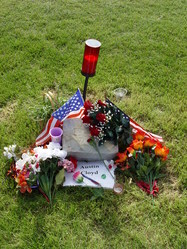 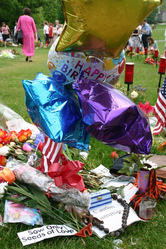 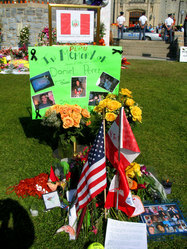 The Hokie Stone memorial site is filled with gifts and flowers to remember the victims. 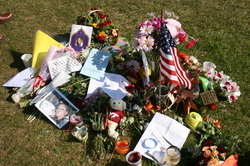 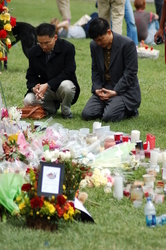 Individuals mourn as they visit the main memorial site on the drill field.